This is a leadership development opportunity for teams of researchers and community partners-including organizers, advocates, or other community champions. These teams use the power of applied research, research that informs and supports critical work being done in communities, to advance health and equity. The two themes for the 2018 program are 1.) Solutions for better health care delivery in rural America and 2.) Addressing the social and economic determinants to prevent chronic conditions and to promote health, wellbeing, and equity in rural America. The U.S. Department of Agriculture, National Institute of Food and Agriculture is seeking applications for a program that supports research and extension projects that have robust collaborations to increase the participation of women and underrepresented minorities from rural areas in science, technology, engineering, and mathematics fields that are relevant to USDA priorities identified by the Secretary. The program encourages applications from groups of NIH-funded investigators to purchase or upgrade scientific instruments necessary to carry out animal experiments in all areas of biomedical research supported by the NIH. The objective of the program is to make available to institutions expensive research instruments that can only be justified on a shared-use basis and that are needed for NIH-supported projects in basic, translational, or clinical areas of biomedical and bio-behavioral research. The Translational GI/Hepatology research training program seeks to recruit and train highly qualified and motivated postdoctoral fellows in Translational Gastroenterology and Hepatology. The training program will emphasize working at the interface between basic biology and translational medicine to fill important gaps in knowledge and therapeutics. Trainees will develop expertise as digestive health researchers under the oversight and guidance of the Executive Committee, choosing from 14 mentors in Pediatrics, Medicine, Biochemistry and Pathology. 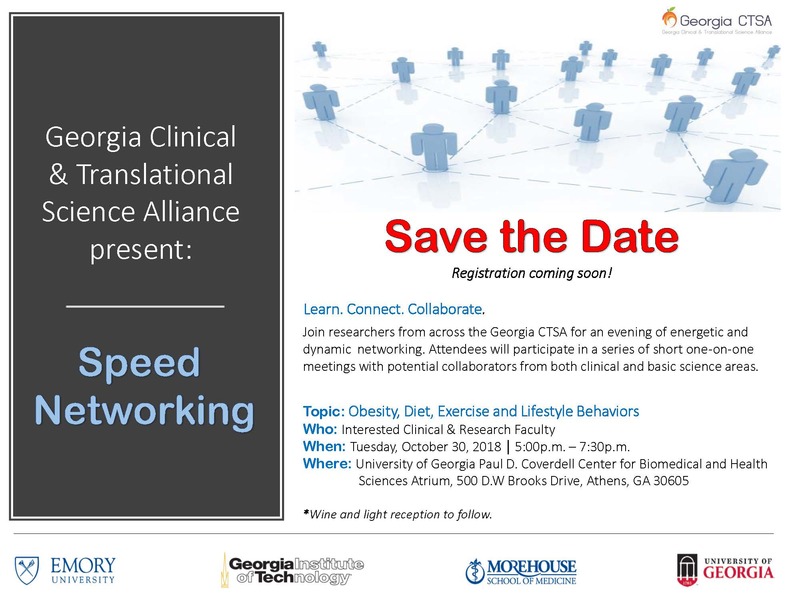 The training program incorporates a structured degree program in Masters of Science in Clinical Research or a Certificate in Translational Research, via the Laney Graduate School/Georgia CTSA. 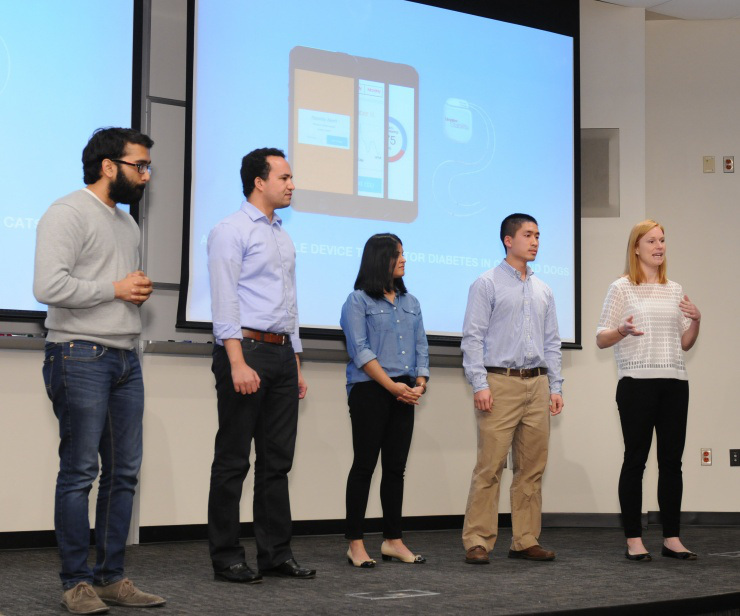 This two-week summer workshop aimed at helping graduate students and postdocs understand the many aspects of the data-intensive computing environment will take place July 16-27 at the University of North Carolina at Chapel Hill. Travel and accommodations will be provided for participants. 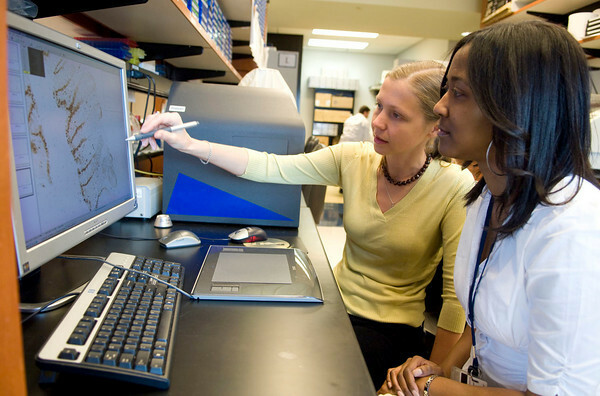 PRIDE Summer Institutes are designed to provide research education experiences that enable junior faculty who are underrepresented in the biomedical sciences to further develop their research skills and knowledge to become competitive NIH grants applicants and scientists. R25 also available. This NIH Big Data to Knowledge (BD2K) funded intensive bootcamp will focus on providing biomedical researchers inexperienced in biomedical big data science with entry level training in big data science. The costs of tuition, room, and board are covered for accepted applicants. Allocating Credit: Who Gets the Credit? A new informed consent template was created for studies taking place at Hughes Spalding Hospital. Studies at this site are required to have Emory, Children's, and Grady informed consent language. To facilitate the development of clinical trial protocols that require a FDA Investigational New Drug (IND) or Investigational Device Exemption (IDE) Application, the NIH and FDA collaboratively developed a Phase 2/3 Clinical Trial Protocol Template and an electronic protocol-writing tool to help investigators think through the scientific basis of their assumptions, minimize uncertainty in the interpretation of outcomes, and prevent loss of data. Come enjoy this fun, educational event where you can meet the Emory Women's Heart Center physicians, nurses, and care team, learn how to prevent heart disease and find out if you are at risk. Healthy refreshments will be provided. Students and adults are invited to join The Farm and Atlanta BridgeCommunity at SunTrust Park for a day of creativity and hacking. Keep all intellectual property for what you bring and build. Hicham Drissi, professor, vice chair of research, Orthopaedics, Emory, will present a seminar sponsored by the Emory Center for Clinical and Molecular Nutrition, HERCULES, and the graduate program in Nutrition and Health Sciences at 12 noon in the Emory School of Medicine Building, Room 178P. Snacks and coffee provided. NCATS Director Christopher P. Austin, MD, will provide opening and closing remarks. The event will feature presentations, posters, exhibits, tours of the NIH Clinical Center and an art show. Admission is free and open to the public. Animation: What is the Georgia CTSA?